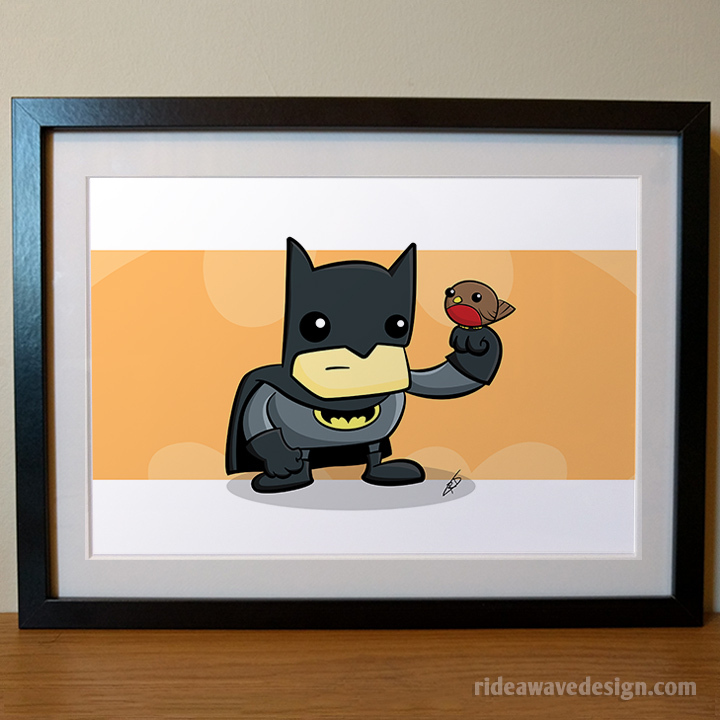 Batman with his favourite little sidekick Robin! 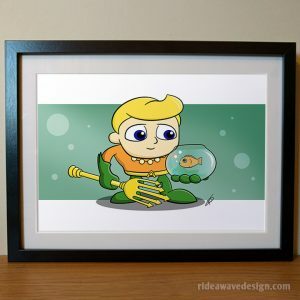 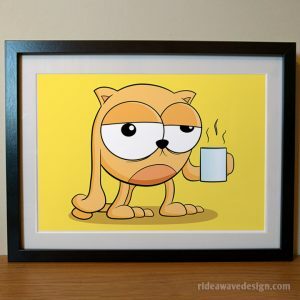 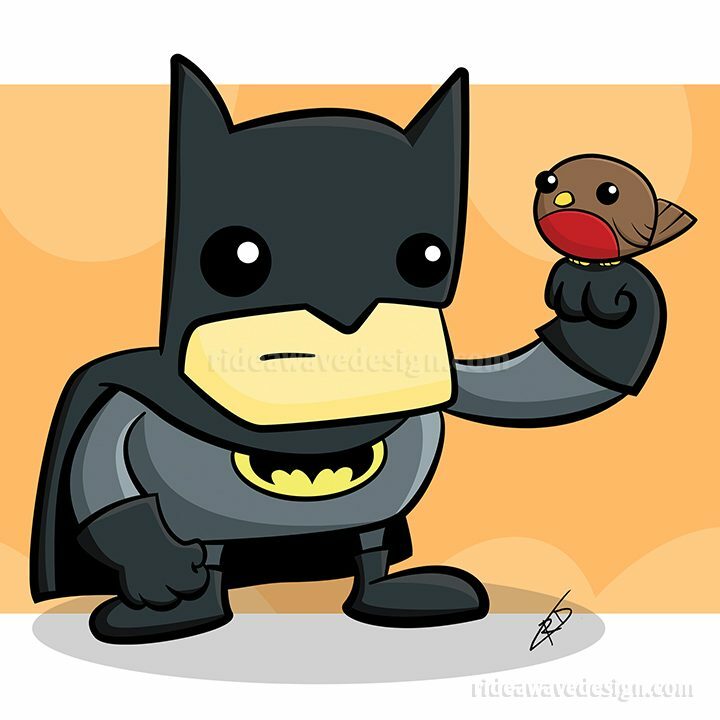 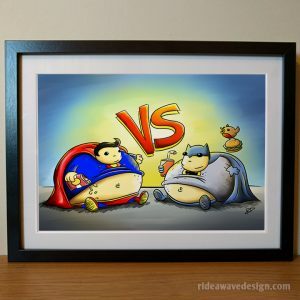 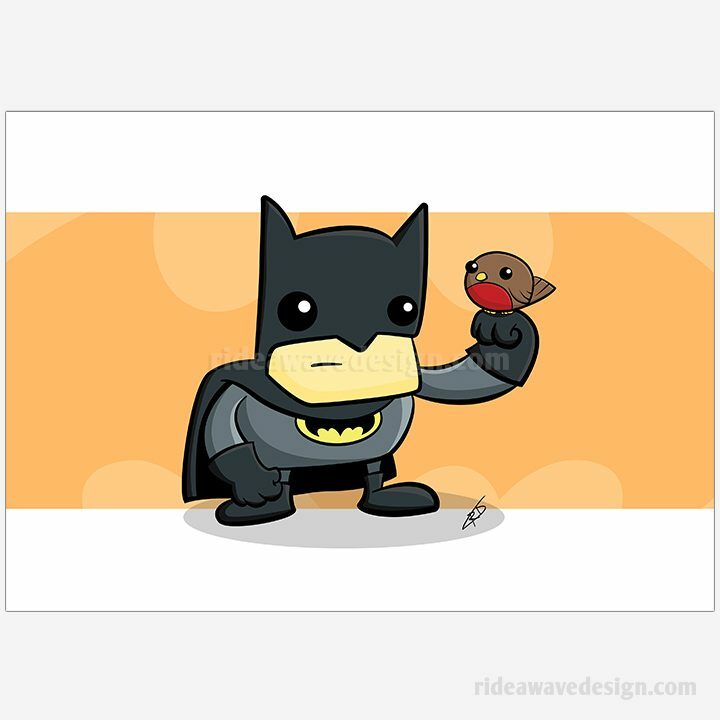 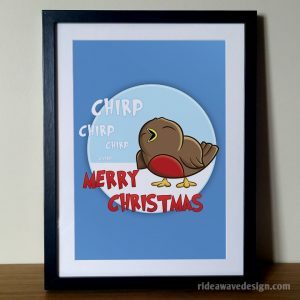 This cute Batman inspired artwork was created by freelance illustrator Robbie Douglas. 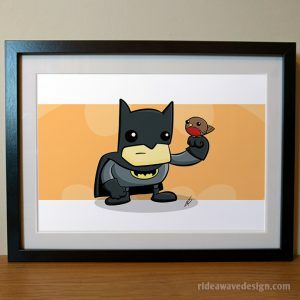 Signed by the artist on the reverse side, this premium quality art print is perfect for any fan of the caped crusader.